1. 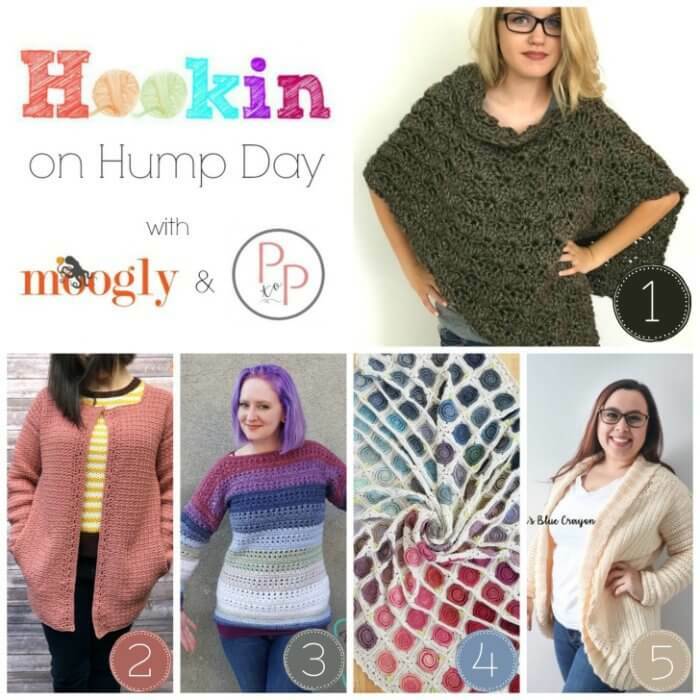 MOST CLICKED LINK: Everywhere Poncho by Crochetpreneur – This pattern works up in a matter of hours and can be easily adjusted for petite or plus sized needs… a FREE crochet pattern! 2. Positano Pocket Cardigan by Christa Co Design – This cardigan has a classic fit and pockets built right into the seams… a FREE crochet pattern! 3. Sherbet Sweater by Divine Debris – This stripey sweater includes sizes up to 3X… a FREE crochet pattern! 4. Sweven Throw by Felted Button – A beautiful blanket that’s full of color… a PAID crochet pattern! 5. Cardigan Shrug by Maria’s Blue Crayon – This pattern includes lots of sizing going up to 3XL and including Petite – Tall… a FREE crochet pattern! Previous Post: « Chunky Crochet Mittens Pattern – Super Easy!